Thread Faction has another grow-with-me pattern! This is probably the fastest thing I’ve ever sewn, like seriously quicker than anything else…even a cowl (you have to hand stitch that thing closed!). This makes it the perfect last minute gift for babies, and it’s not the same old bib and burp cloth they’re expecting. It’s also great for toddlers and young kids too! Thread Faction #114 Grow-with-me Slim Pants/Trousers was just released and is available in 3 sizes ranging from newborn to 6 years. 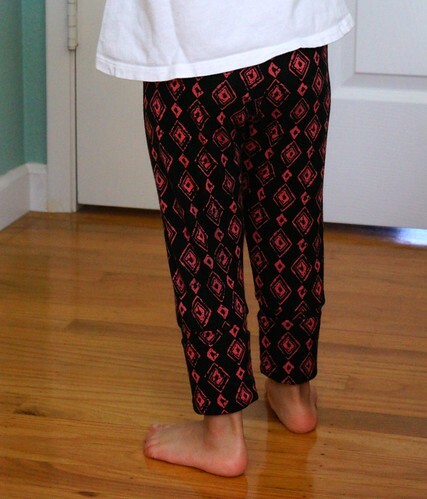 With only 3 pattern pieces and no hems to sew, this is one quick and satisfying project. I’m sure I’ve mentioned how much I like my girls wearing handmade wherever possible, so quick patterns like this are a blessing. 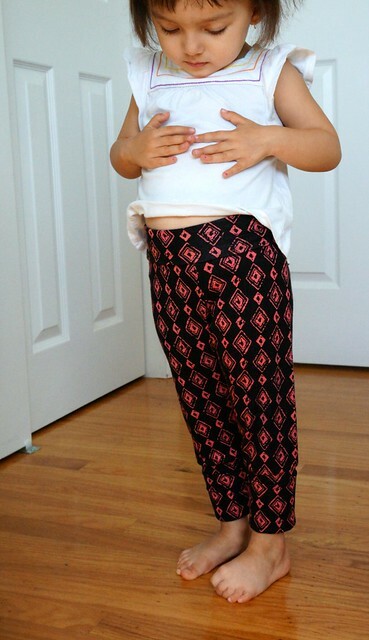 I also know as my girls hit growth spurts, the pants won’t become obsolete in a couple of months! 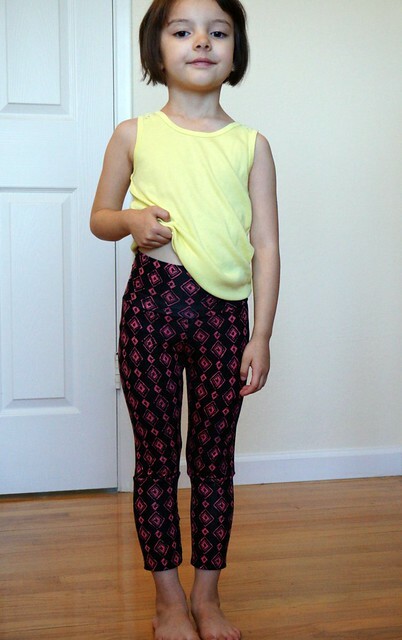 I made these test pants in a size 2 since both girls have small waists, although my big girl is at the end for the height. Both of my girls can fit into this size 2, although I think I can move up to size 3 for my big girl, or just flip up the bottom to make a capri with cuffs. For my little girl, I have the bands folded in half. On my big girl the waist and leg bands are fully extended. 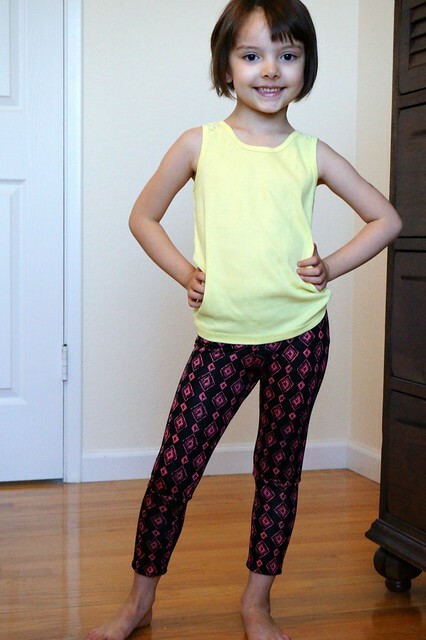 I made these with another Girl Charlee cotton spandex knit. It’s coral hand drawn diamonds on black. They have been fighting over who actually owns these pants, and it’s hilarious listening to their arguments as to why the other can’t wear them! I haven’t made more yet since I’ve been focusing on Halloween costumes, but I plan on several more of these for sure. 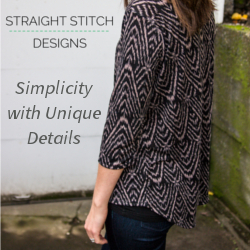 I definitely recommend this pattern too for those of you new to knit fabric (did I say there are NO hems!!). Previous PostPrevious An Outfit for Fall…With a Side of Ghosts!